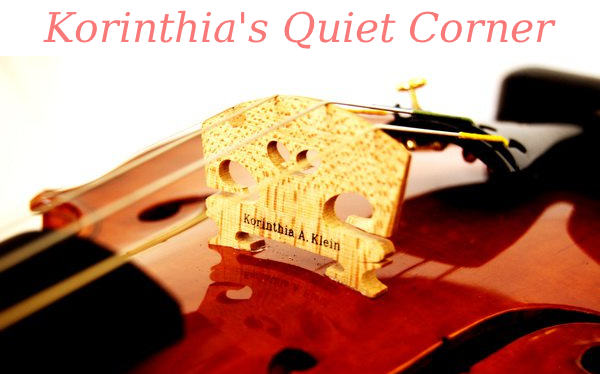 Korinthia's Quiet Corner: Won't you be my neighbor? I took my family out to see the new documentary about Mr Rogers, "Won't You Be My Neighbor?" It's a lovely film. I think I cried the whole way through it. There was something good about watching it in a theater and sensing other people getting choked up as well. My eyes hurt for hours afterward, and I found it very hard to sleep that night because there was so much going through my mind and pulling at my heart. Mr Rogers was genuinely kind in a way that is far too rare in this world. We may never see another like him. There are many people I love and admire and that I have felt lucky to learn from, but Mr Rogers managed to distill the core of what humanity should be centered around more simply than anyone: That we are able to love and be loved. He found that idea through Christianity, but he lived it in a way that that label was irrelevant. I told my children on the drive home from the movie that his was the way I felt people should proselytize--by living an admirable life, to illustrate values by example not by judging and telling others what to do. I remember being surprised as an adult to discover Mr Rogers was an ordained minister since he never touched on that in those words during his show. When asked about it, he said he purposely avoided such language on his program because he didn't want to risk any child feeling excluded from the neighborhood. That's one of the most beautiful things I've ever heard. But here's the thing keeping me up at night: This kind of love is hard. Tremendously hard. Possibly the hardest thing there is, and yet Mr Rogers made it look easy. It wasn't, though, even for him. One of the most moving moments of the film is when he has the puppet Daniel Tiger (who often represented himself) ask "Am I a mistake?" He's worried that because he's different and doesn't fit in that something might be wrong with him. Even after he's assured by his friend that she loves him just the way he is, he doesn't embrace that, they just turn his doubts and her reassurances into a duet. Apparently Mr Rogers also asked his wife on his deathbed if he was a sheep (referring to a bible passage saying in the end we will be divided into the sheep and the goats), and she assured him he was good. If the kindest public figure I can think of doubted his contributions in this life, that says something about the impossible depths of such a struggle and makes me feel able to forgive myself a bit more for not being able to come close to living up to the ideal. I don't know which is harder: Loving others or loving yourself. The two are so deeply linked that I'm concerned for people who easily spew hatred because I think it's often merely a manifestation of their own lack of self-worth. I wonder when I am overly critical of myself to the point of being unkind why I can't let certain things slide the way I do for others, and accept my flaws as simply part of being human. Maybe because the line between acceptance and stagnation isn't always clear and I want to be better. If I'm satisfied with myself, why should I work to change? And how do I know if I'm succeeding? Is there a measure? 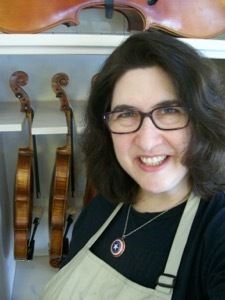 Should I care about a measure? I don't trust people who measure value in money or fame. Currency isn't worth. When other people evaluate my small business they determine if it's successful based on how much money it's bringing in and how well known it may be. I measure success by how many people I help each day. I'm concerned about making money to the point that it helps me stay in business so I can help more people. That helps me to love myself better, but it's still hard, and I end every day worried I've fallen short of the person I want to be. This is why the idea of reminding people they are special is important. When Mr Rogers looked at someone and said, "I like you just the way you are" and meant it with great sincerity, it was moving and affirming. We need that in a world where we all feel vulnerable and worry we aren't enough. His meaning of the word "special" was humbling, not self-aggrandizing. It embraced imperfection. Everyone knows the pendulum swings in politics, but it wasn't until I had children that I realized it swings in the parenting world as well. In the past few years I've been reading a great deal about what I think of as the "anti-special bandwagon." Many writers and parents whom I respect greatly seem to be touting a "not special" mantra about kids as a backlash to everyone getting a prize and no one being allowed to fail. I respect and understand what they are saying, but I disagree. Part of my problem is I think I'm working from a different definition. How do you interpret the word "special?" The way I hear it being used lately it means Entitled, Coddled, Self-Absorbed, Fragile, Dependent. When I use it, I mean Unique, Interesting, Valuable, Worthy of both Love and Respect. I dislike the phrase, "If everyone is special than no one is." If you are using "special" as a balm to level everyone out and make people feel good without earning anything, then yes, it's grim and pointless. But that's lazy. The greatest paradox of having a baby is that there is no more universal experience and nothing as unique. If you can't find something special about everyone than you are not trying very hard. I also can't get on board with saying it's okay to limit the idea of "special" if you make sure your kids understand it to mean "You are Special... To Me." Yes, my children can expect a form of limitless adoration from me that they should not expect to experience from the rest of the world, but that does not mean that they should accept mistreatment. There are plenty who due to their own insecurities are eager to crush the spirit of someone else. What Mr Rogers understood was that knowing you are special means feeling you are worth protecting and that when you can stand tall you are then able to help others. There is an upsetting part of the film where pundits place blame on Mr Rogers (and others) for a generation of people they find to be whiny and weak. It reminded me of when I once heard a man call in on an NPR program to complain that his life was horrible because his parents always told him he was special and then he got out into the world and realized he wasn't, and now every day was a disappointment. I wanted to reach through the radio and shake him, because how many stories are there of children desperate for any bit of approval from disinterested parents? Too many. And as a mom I felt as if this was proof that there was no way to win, because if showing love and encouragement to your kid was now considered bad, then there was nowhere to turn to escape judgement. I still think about that guy from time to time and hope he eventually learned to appreciate the world around him and figure out how to give his life more meaning. I think his problem (assuming he wasn't suffering from an undiagnosed condition that prevented him from seeing things differently) was perspective. If when playing music your only goal is to be a famous performer and you think anything short of that is failure, then you've missed the point of playing music. When I tell my kids they can grow up to be anything they want, they know I mean it within parameters of what matters. I want them to do what they love because they love it. Life is too short not to. If they want to make art they should make art. If they can find a way to make a living at it, bonus. Despite so much in the news that directs our attention toward horror and despair, life is filled with beauty and possibilities. If you are bored or disappointed with the world, you are not really looking at it. You are not trying. You are not looking at yourself or others as truly special. This kind of thinking is not simplistic, but radical. As much as any of us think it's obvious that we should probably accept the idea of embracing the value in everyone in order to create a better world, it is the hardest, bravest thing I can think of. Given the opportunity to look Donald Trump in the eye would I be able to say to him, "I like you just the way you are?" I don't think so. But does that do anything for him or say something more about me? I'm not sure and I'm struggling with it. Because there should be consequences for horrid behavior. The problem is that as much as an instinct for revenge is natural, it's not righteous. It's petty. I don't want to be petty. But I also don't want to facilitate evil. My gut reaction is that forgiveness isn't warranted in all cases, or that at least my energy is better spent siding with victims rather than trying to heal damaged bullies. I know what it is to be angry and to want to lash out at those who cause harm. But whose mind has ever been changed by being attacked? I feel and understand the need to want to aggressively fight back, but beyond trying to humiliate and shut someone else down completely does it help? In situations where self-defense is necessary, yes. In trying to inspire positive change in someone? No. I worry when I hear people on my side of issues talking about people they disagree with in terms that dismiss their humanity. I don't have sympathy for the ideas of racists and bigots, but I need to retain my sympathy for the basic humanity of the people who hold them. As satisfying on some level as it may be to see a Nazi get punched in the face, does anyone really think that made the world better? Or did it just bring us closer to his level? Do we think now that person is more likely to hear reason? Or is that person more likely than ever to feel justified in their beliefs and double down? Attacking people is easy. Putting in the time to figure out what went wrong with them and helping them change is hard, but that's where I believe in my heart the solutions lie. I am beyond disheartened by the number of people I know to be decent who have somehow found ways to rationalize support for the family separation position on our southern border. I don't understand labeling someone as a criminal and therefore unworthy of caring for their children when the only motivation for bringing them here was to offer them a better life. But I also don't think many of those same people if tasked with personally having to tear a small child away from a parent could do it. I think they would search their hearts for a different solution. Calling them monsters doesn't fix anything, it only shuts down the discussion because then they don't feel you're listening to their fears and therefore have nothing useful to say. How do you react when your own humanity is dismissed by someone? This is something I struggle with every day, and wonder if it's easier for those who can fall back on a religion to provide a default set of rules to follow when thinking about it gets too hard. I'm not saying it's easy for anyone, but having to construct the logic for myself all the time seems more exhausting then occasionally just trusting I should do the right thing because a god would like it regardless of how I feel. This is why hearing such ideas distilled through someone like Mr Rogers is so powerful. I can't get behind the dogma of any given religion, but the essence of how he interpreted his faith is beautiful and something I do think is worth believing in. Mr Rogers' Neighborhood was the embodiment of "Love thy neighbor," which despite its simple decency has never sounded more controversial. In this time of so many seeking out divisions across borders and within our own communities on all sides, the idea of asking, "Won't you be my neighbor?" is courageous and profound. I would like to think Mr Rogers (and my father, and my grandmother, and my grandfather...) would be proud I'm doing what I can to live up to the ideal it represents. Of course I already know that he (and they) liked me just the way I am. Labels: challenge, children, documentary, love, Mr Rogers, parenitng, religion, special, Won't you be my neighbor? I could never stand Mr. Rogers' Neighborhood - it felt condescending and weird. I was going to try to watch the movie anyway, because I am sure he was a wonderful person and everyone is raving about it, but I watched the trailer and the clips from his show still creep me out. I know, I'm a monster. He was definitely an acquired taste! Definitely an odd ball, and lots of elements of his land of make believe creeped me out. There are moments I find his mannerisms cringe worthy too, but then I come back to how brave it is to choose to be gentle and odd in a world where it would be easier to just try to fit in better. There's a point in the movie where Yo Yo Ma even says the man scared him a little! Nobody has to like everything, and you don't have to like his show to at least respect the goals of the man. You might still like this movie, though. Maybe wait and check it out online someday. Love this essay! One of your best. I personally loved Mr. rogers growing up and still find myself with his songs in my head. Thank you for this thoughtful essay. Everyone can make more room in their lives to more explicitly, transparently, and effectively care for others.